Bring your best, cleanest mini-Method and get on the hill with us!! Bear Mountain, NEFF, and Malakye are coming together to host you, snow industry desk jockey, for a day of fun in the sun. Play a game of S.N.O.W. with your office buds, or take on one of the pros that will be out there. 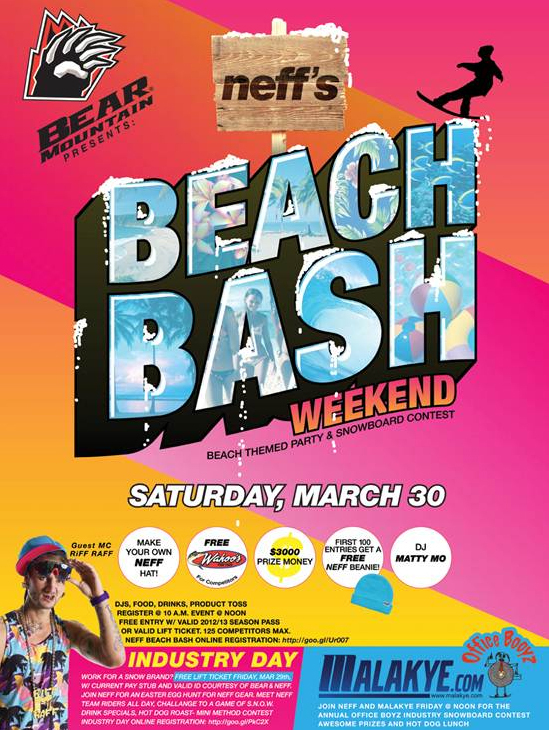 We’ll be giving away tons of great prizes - just for showing up- free hot dogs, and a FREE lift ticket. On the snow at the base of "The Scene" in the Malakye / Neff tent area. **If you don’t have these, you can come, you’ll just have to purchase your lift ticket. Please respect these ground rules. 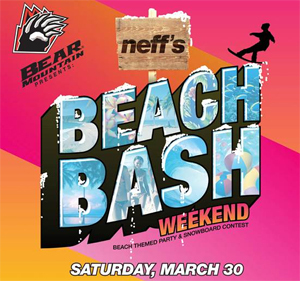 This is Bear Mountain and NEFF giving back to the industry and that should be respected. NOW, check out these awesome images and leave a comment below to express your enthusiasm.